Mixtapes are by nature vocal showcases built on freestyles over familiar beats, a handful of original songs, and plenty of shout-outs to famous mentors and friends, as if to foment success by association. Intangibles such as song concepts and memorable personalities separate the wheat from the chaff. 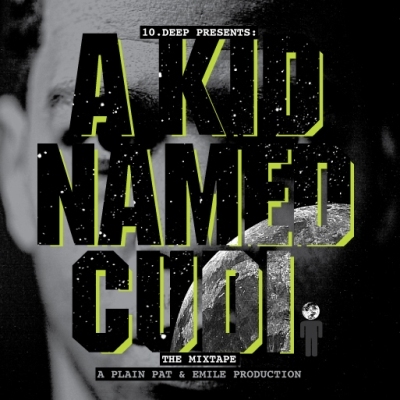 Kid Cudi’s breakout mixtape excels on all fronts. He flaunts the monotone crooning that made his debut single “Day ‘N Nite” a top 5 Billboard smash in the summer of 2009. But he doesn’t overdo it. Flat raps over Dilla beats (“Cudi Gets”) and straight-up singing over Paul Simon’s “50 Ways to Leave Your Lover” (reinterpreted as “50 Ways to Make a Record”) bring variety to his stoned harmonizing. He declares his himself a loner (“Man on the Moon”), but wants our love badly, and pleads for it (“Embrace the Martian”). In the result, he exemplifies the blog-rap era and its thousands of voices, pumped up by MySpace and rap blogs, declaring themselves as unique voices waiting to be discovered. This entry was posted in Plug One 2000s and tagged Kid Cudi. Bookmark the permalink. Wiz Khalifa……even tho the dudes calling himself a female…it should be Khali.